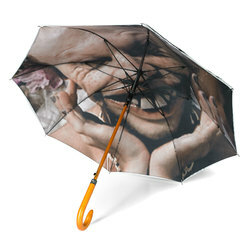 Aphex Twin - Windowlicker Umbrella. 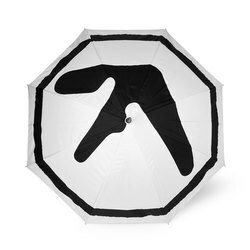 Aphex Twin. 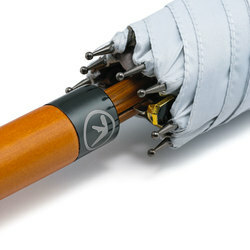 Walking umbrella printed with Aphex twin logo to top, and face to inside. 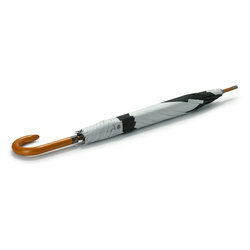 Nylon cover, etched handle and wooden pole.